No scents are good scents. 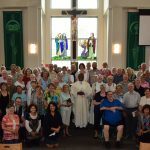 There are parishioners who have a very high sensitivity to perfumes and various scents to the point that their breathing is restricted. We respectfully ask that you please refrain from wearing perfumes or scented products as much as possible when coming to church. to 9 a.m. on January 2, 2019. 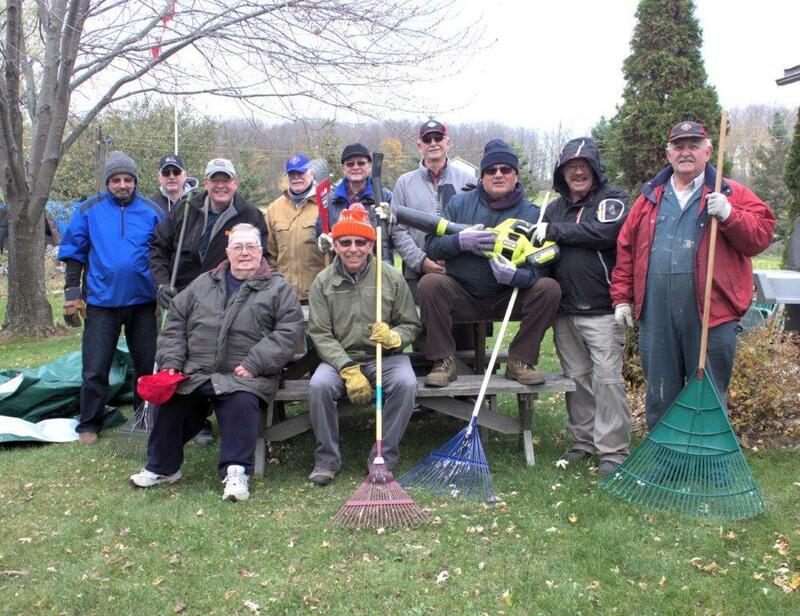 Members of the Carleton Place/ Almonte Knights of Columbus got together to help with yard work for a fellow Knight recovering from major surgery. 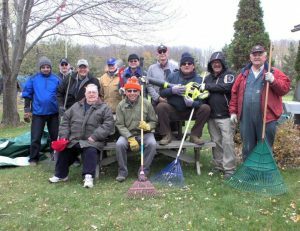 One of the basic principles of the Knights is to work together in unity to help out our neighbours and each other when in need. 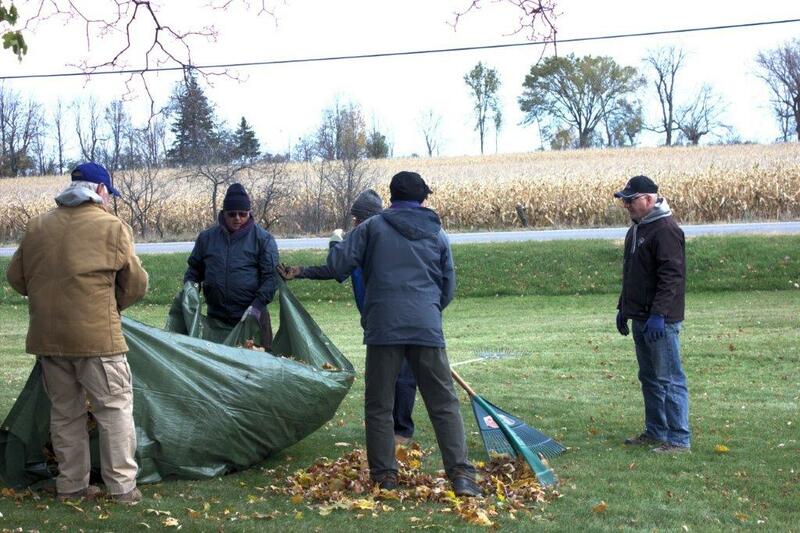 There were a ton of leaves to rake- but many hands made the work light. Afterwards the crew enjoyed coffee/ sandwiches and chatter in the warmth of their home. 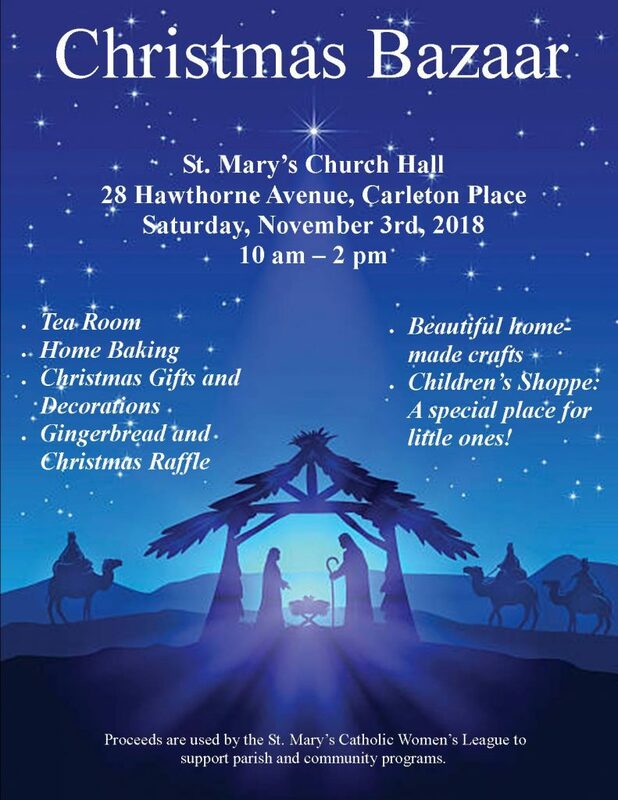 The Thursday night study will be after mass. The Thursday night study will not start until the 20th, as books have to be ordered from Little Rock in the U.S. and won’t be here until then.